Join us on the red carpet as we celebrate our 14th year! From Holocaust remembrance to Israel’s independence, here are the uplifting stories of visionaries, music legends, Oscar winners and more. This is a year you won’t want to miss…. Special guest – Hollywood legend, director PETER BOGDANOVICH (The Last Picture Show, What’s Up Doc, Paper Moon, Mask) will be honored with the Marvin Paige Hollywood Legacy Award! Introduction by Rabbi Marvin Hier, Founder and Dean of the Simon Wiesenthal Center. Appropriate for ages 11-12 and above. When the Nuremberg Laws outlaw Jews from owning pets, Kaleb, a German Shepherd, is taken from his Jewish master, 10 year old Joshua (August Maturo, Girl Meets World). Kaleb is retrained for use in a concentration camp. But things change when Joshua arrives to the same camp. The timeless, unbreakable bond between a boy and his faithful dog is put to the ultimate test in wartime Germany, in this heartwarming family drama. Eli Batalion and Jamie Elman are the co-stars of YidLife Crisis, a successful Yiddish language web series exploring, with wit and humor, the burning questions of Jewish life. 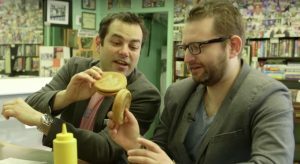 In this warm-hearted, mouth-watering film, the comedic duo return to their city of birth, Montreal, on a mission—to eat their way through the city in 24 hours. 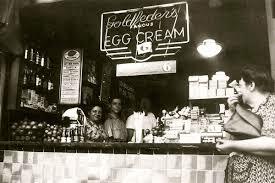 They don’t miss a bite—bagels, babka, deli; all the tantalizing Jewish delights! Join us for this gastronomic adventure with a pair of hilarious and hungry guides with a bottomless appetite for great food and witty conversation. Family friendly film for music lovers of all ages! Blue Note Records president, Don Was in person! 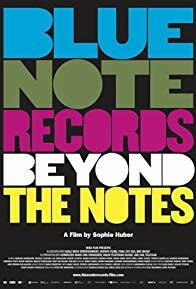 Blue Note Records, was founded in 1939 in New York by two music-obsessed German Jews who fled Nazism in Berlin. The most iconic jazz label of all time became home to Thelonious Monk, John Coltrane, Miles Davis, Herbie Hancock, and so many more. Its current president, Grammy Award-winning music producer, Don Was (The Rolling Stones, Bob Dylan, Bonnie Raitt, John Mayer), remembers the glory days, while ensuring Blue Note’s growth and musical relevance. This film is a must see for any music lover! Academy Award Winner® Guy Nattiv makes his English-language feature debut with this galvanizing story of transformation, inspired by actual events. This full-length version, although following a different story than the short film, Skin, that just garnered the Israeli director Guy Nattiv (Mabul, Strangers) an Oscar, centers on the true story of Bryon Widner (actor Jamie Bell, delivers a visceral, explosive performance), a young man raised by skinheads, now desperately trying to turn his back on hatred. Celebrating two extraordinary survivors who turned their suffering into beauty and made it their life’s mission to leave a legacy for future generations. 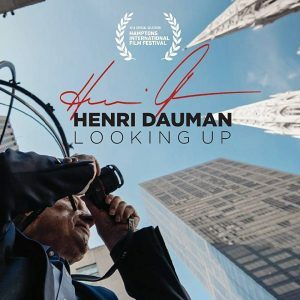 You probably don’t know the name Henri Dauman, but you almost certainly have seen his pictures. A leading photojournalist whose work has been seen by millions, Dauman took celebrated pictures of John and Jackie Kennedy, Marilyn Monroe, Andy Warhol, Brigitte Bardot, Miles Davis, Marcel Marceau, Elvis Presley and countless others. 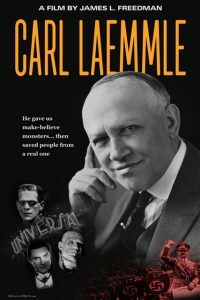 Hidden in France in the midst of the Holocaust and orphaned at thirteen, he set out to rebuild his family at any cost and to leave a legacy behind for the world through his work. Walter Arlen is almost 100 years old, and the entire century comes to life in his stories and in his music. 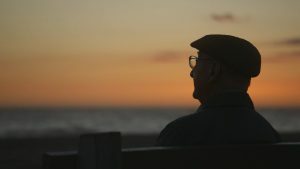 Forced to flee Vienna in 1938, his journey began as one of loneliness. What kept him afloat was his music. This sensitive film captures the complex story of a musician exiled, but who finally got to see his works performed late in life. Celebrate Yom Ha’atzmaut! 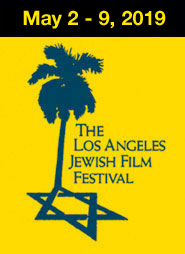 What better way to celebrate Israel on her birthday than with this LA premiere about Golda Meir, the mother of Israel! With an appearance by special guest and star of the film TOVAH FELDSHUH! 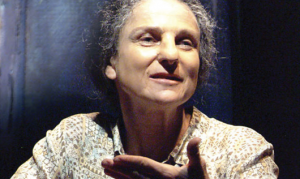 Tovah Feldshuh gives a mesmerizing performance as Golda Meir, the fourth Prime Minister of Israel in this masterpiece. A rare, multi-camera shoot from the play’s original run was recently unearthed (literally, from a safe) and assembled into this new but absolutely riveting motion picture. Over 500 performances on Broadway were sold out, making it the longest-running, one-woman show in Broadway history.